Most likely, you trust a SaaS app. The site is encrypted. It has a valid certificate. Everything is good. 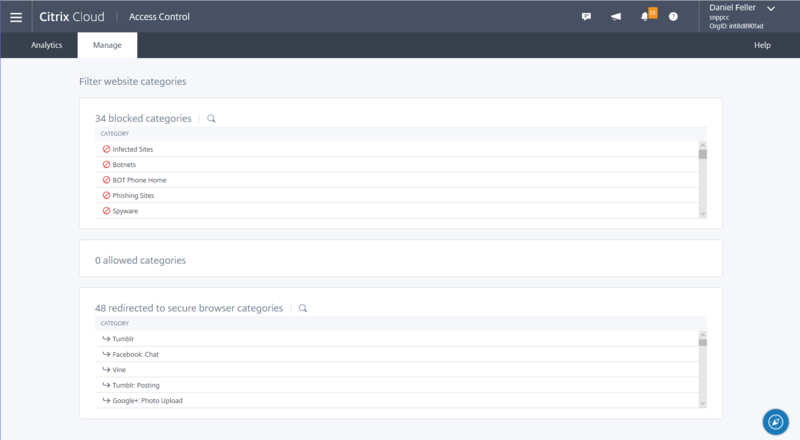 What about the content within the SaaS app? Do you trust that? Why wouldn’t I trust my Salesforce data? The problem lies with any URLs within the data. How well do you trust those? Think about another SaaS app… Outlook. Yes, with Office 365, Outlook is a SaaS app. Hopefully, we all know perfectly well that you need to be careful about what URLs you select within an email message. We can’t trust everything on the Internet. But training users what sites are safe and what sites are dangerous is impossible. With URL filtering, an administrator can easily define specific websites or categories that are allowed, denied or redirected to a Secure Browser instance. Once enabled, the URL filtering configuration is automatically applied to all SaaS and web apps defined within the user’s workspace. If I select the Piratebay link, my request is denied. If I select the Facebook link, my request is redirected to Secure Browser. If I select anything specifically allowed or not defined, my request is permitted. 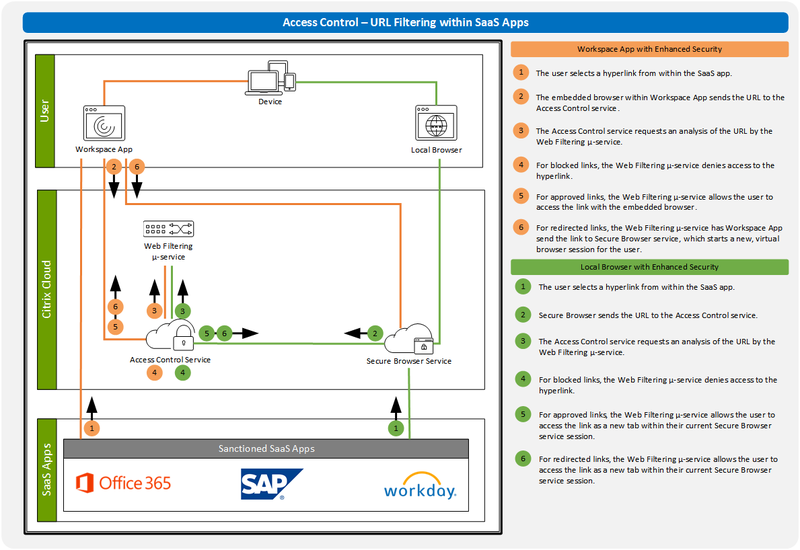 Hopefully, that helps explaining how the Access Control service filters URLs within a SaaS app, which is just one aspect of the Access Control service.